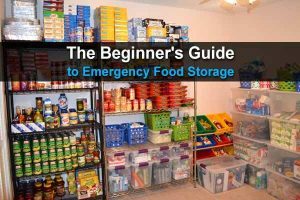 Stockpiling food, water, and supplies to sustain you and your family for a long time can get very expensive. For some, it just isn’t feasible to spend hundreds of dollars or more every week buying supplies that won’t be used right away. Don’t be embarrassed. Most people can’t afford to do that. The trick is to buy used supplies so you can put the money you save toward your food purchases. Shopping at thrift stores like the Goodwill store is a great way to save money. It’s extremely satisfying to score a good deal on something you really need. You’ll find yourself bragging about how cheap something was rather than how expensive it was. The following list includes things you will want to keep your eye out for the next time you go thrifting. Most thrift stores will have sales on either certain color stickers or a certain area of the store on a given day. Grab a flier, get a punch card, and start looking for the following items. Wool blankets are the best for cold or wet weather. They can be expensive, though. Fortunately, some people don’t really like the feel of wool blankets and will give them away. This is your chance to get a great deal on one. You will always find a variety of tools at thrift stores. Have backups for your backups. Things like hammers, wrenches, and screwdrivers are all worth adding to your stockpile. Things like can openers, meat grinders, and manual blenders should be added to your cart. This stuff is easy to find, and it’s great in survival situations. Everything from tents to campstoves can be picked up for a fraction of the cost. You know you need these to cook over an open fire, but they are ridiculously expensive brand new. Buy them used. No joke. You can often find things like waterproof matches, Mylar blankets and multi-tools at thrift stores. Things like coats, hats, and boots can be bought for very little money, especially in the off season. Stock up on varying sizes. Even adults can change sizes overtime. Candles of all kinds, even the little stubs, should be picked up. You can always melt them down to make one large emergency candle. You can typically buy bags of them for just a couple of dollars. These are also a great find, even the broken ones. You can melt those down as well to make your own candles. Camouflage clothing, hunting boots, and a variety of other gear like game bags and whatnot can typically be found in thrift stores, especially after hunting season is over. Books and board games for less than a dollar are a real steal. They may not seem very valuable in today’s world with tablets and e-readers, but after a collapse they will be a very big deal. This may sound crazy, but you can score unopened packages of gauze, bandages, and elastic bandages. Don’t forget to grab a set of crutches, a sling or two, and any braces you can find as well. Another item that is way cheaper used. Have several that you can use for keeping gear in your car or at work. 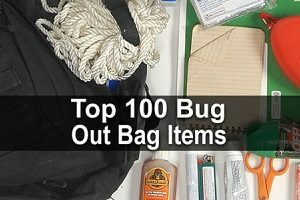 You will want a nice, sturdy pack for your main bug out bag, but you may be able to score one of those at the thrift store, too. Canning jars and equipment for canning are plentiful at the thrift stores. Stock up on them when they are out of season. Shovels, rakes, and hoes are very useful. Prepare to do a lot of gardening and growing your own food if there’s a long-term disaster. Bags of these are usually sold for only a couple dollars. These rags can be used for cleaning up or as family cloths. Boots, ponchos, slickers, and umbrellas will come in handy when you have to work outside. You can’t always stay inside when it is raining. You need to be able to stay dry while you are getting your chores done. Rolls of barbed wire, rolls of chicken wire, and even posts could also come in handy. Check the backrooms and outside of the store as well. Oftentimes these things are not put out on the floor. Text books, workbooks, and other things you can use to homeschool the kids. You are going to be their teachers and having these things will make your life a little easier. Needles, thread, and fabric will be very valuable when you can’t go clothes shopping. You will need to repair your own clothing or even make your own. Odd pieces of silver and gold jewelry can be used to barter with. Stock up on the singles and broken pieces for very little money, but make sure it is the real deal. These are often pushed to the back, but if you can find them, get them. 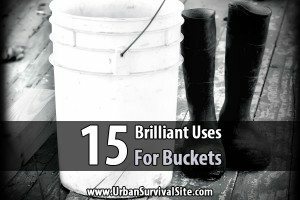 Buckets can be used to carry water, store supplies, and of course, as a toilet. Buckets with lids are even better. These are really good to have. 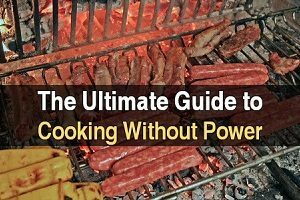 Storing gas is a prepper dream and if you can save a few bucks on the cans, you will be able to afford more gas. The trick to getting great deals at the Goodwill is to check often. Know the store and when they put things out so you can be the first to find the best deals. You’ll have to be willing to dig through a lot of junk before you find what you want. Things are often scattered about as well. For example, you may find a rain poncho, brand new in a package sitting in the kitchenware section, so search everywhere. Goodwill isn’t the kind of place where you can run in, do a quick check, and leave. You have to browse. With any luck, you’ll save hundreds of dollars on life-saving supplies. #9 -crayon brand crayons ARE candles by themselves. Snip off the tip and light the paper around the crayon. It will burn itself completely out. Will burn 7-10 minutes. Havent tried to time a jumbo crayon yet ! 😊 just be sure its CRAYOLA brand. Crayons are made from a very soft wax that makes terrible candles. The very soft wax melts at a very low temperature meaning a stand alone stick or even ‘pillar’ type will melt too fast and drip down the sides. Or if in a container, the pigment or dye in the crayon will clog the wick, preventing the capillary action that draws the liquid fuel up the wick, so the dry exposed wick glows orange and burns off. Why snip the tip -melt it and drip the resultant wax into a puddle that then you stand your crayon in. Go to Dollar Tree for 8″ verticle candles in a glass tube. These will burn for 80 hours. They cost a buck! My list of these is getting bigger and bigger by the day, hope I don’t have to use them ever though! I’ve been shopping Goodwill many, many years — I treasure my finds — have a brand new climbing harness that had been outdated — I would trust it in an emergency situation since it has never been used — have stocked up in all sizes of crutches, new, unopened bandages — purchased all sorts of medical pieces — there are washable wool blankets now — got mine on closeout at Tuesday Morning– have washed and dried several times — have found hundreds of marbles and old-fashioned jacks think “Home Alone” an invader in your house can’t walk on these w/o falling — at least on non-carpeted floors — find out when the trucks run at your local GW and be there while they put out the new stuff ! Have fun and be blessed ! No Wool blankets must be dry cleaned professionally if you don’t want to shrink them. The Perc they use will kill just about anything. I used to work in a dry cleaners and we would get hunters in and invariably there’d be a tick or two on the blankets. they would do the blankets and then have to run the “washers” empty a couple of times to make sure nothing stayed behind. Wool can be hand washed quite easily with some gentle soap or shampoo, like baby shampoo, in a bucket or tub full of hot water. What shrinks them is the agitation of most washing machines and the high heat of a dryer. Though if you need to recycle them into clothing, such as wool diaper covers, felting it in your washer and dryer makes this easier. Even if you want to keep them as blankets, felt them and see a few together. Wool is not that complicated and has been used far longer than almost every other textile fabric. I’m a historical reenactor that has never had a wool blanket professionally dry cleaned. Soap, water, and a big tub work just as well. I was once told that it’s not actually the wash cycle that shrinks fabrics, it’s the spin cycle. Maybe experiment and try washing in cold and hang dry. A lot of these things can also be bought new at Dollar Tree. They have buckets, a fairly nice one too, some tools like screwdrivers, small lightweight lightweight​ wrenches, levels, tape measures, shrink wrap insulation for Windows/glass doors, hooks, over the door hooks could be used for all kinds of things. Twine, nylon rope, painting supplies, etc. I’ve seen poncho’s, small but pretty good umbrellas, thick heavy plastic storage bags. I use these bags instead of using the large vacuum bags for storing blankets. They come in three sizes. Jumbo with one bag, large with two, and medium with three. I store holiday stuff as well and sometimes carry them to carry heavy stuff. The only problem is that the seal is so strong that it can be hard to open. I usually break it with my nail. But I consider that a plus. Books, sometimes some good ones, word finds, crosswords, coloring books for adults or kids, all kinds of homeschool stuff. Especially for younger kids. Wipe off boards, educational card games/flashcards, workbooks, etc. There’s a lot of basic things like can openers, measuring cups, storage containers, etc. Pet things, like tie outs and harnesses. The small harnesses could be used for cats too. Just before Christmas I found a small flashlight that doesn’t need batteries. You just squeeze the charging part. It also had two bulbs and the charge lasts a really long time and it holds the charge if you just turn it off. They also have pretty good water bottles in various sizes and shapes. Usually BPA free as well. Honestly there’s no telling just what you can find and every Dollar tree tends to have slightly different stuff. I’ve even found diabetic socks there. The problem with dollar tree is that these things usually break fairly easily. Most things are designed to break or fall apart so you will buy more. When you pick them up as goodwill or garge sales or better yet estate sales they tend to hold up. As goofy as it sounds old school things where build to last or better yet be repaired. Dollar tree is a great place for homeschooling things, books , coloring books ect…. However, when prepping your going to want items that will last or be easily repaired. It’s the fun of the hunt that I enjoy…. Sorry, but I’ve bought quite a few Dollar Tree stuff & it’s mostly junk. It’s why I don’t shop there much anymore. Things are made cheaply & from cheap materials. Their stuff breaks/bends/wears out quickly. It’s better to save money & buy quality over quantity. I’ve picked up some decent stuff from Goodwill, but honestly ours doesn’t get much & it’s usually very worn out. Also, our Goodwill is getting quite expensive. I’ve found brand new items in original packaging with the price on it & Goodwill actually doubled the price. Yep. If you shop sales & use coupons & loyalty cards (if a store has one) you can find many items at regular stores for the same price or cheaper than thrift stores or the misleading cheap stores like Dollar Tree, Dollar General, Family Dollar, Aldis, & Big Lots (who doesn’t take coupons). The whole notion of “non-profits” is an affront to capitalism, free markets, and private property itself. I avoid non-profits like the plague. Just to clarify, the store employees are paid at least minimum wage. The red shirt folks in most stores are “volunteers” usually doing court ordered community service time with no pay. And, its their choice. Better than picking up trash on the side of the road. But yes, the company does take advantage of their employees. After going a couple of times a week for a year. I have spent about $150 in total on camping, prepping, and hunting gear. If I bought it all at retail, I would have spent $1500 easy. Even found a rare Camp Mate chuck box for $5. Found some duplicate items and wound up selling them on ebay and actually made $300. So all my gear was free and made $150 to boot. If they’re disabled, they can pay them less than minimum wage, ostensibly according to some rubric that factors in how disabled they are. In practice, they wind up paying them all the disabled minimum. DO you or did you ever work for Goodwill Tristan? Didn’t think so! When I worked for Goodwill they paid the disabled minimum wage. THE EVERY DAY minimum wage. They treat them badly but they paid them minimum wage the same as you or me. They don’t pay them well but they do pay minimum wage at Goodwill If you actually know someone (which I doubt seriously) then you need to report Goodwill. Treat all such items as “contaminated” until you can personally sanitize/launder them. One thing that you do not want to have to deal with is “tiny livestock” such as fleas, lice, bedbugs, etc. Don’t get me wrong: You can save a ton of money and get some very good, useful items at these places. 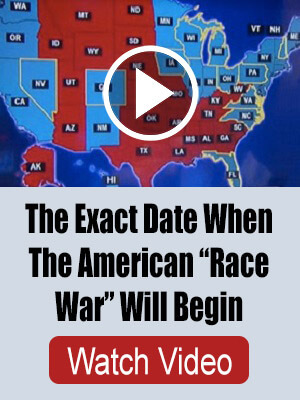 But any infestation is going to quickly negate that advantage. how do you “sanitize” a wool blanket? you can’t wash it, but can you bleach it? And yes, you can wash wool….that’s what the product “woolite” is all about. Hand wash in cold/warm water and hang to dry.